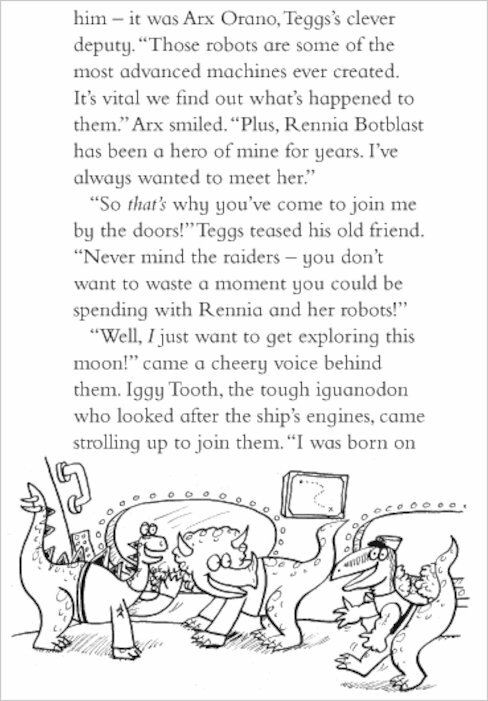 Captain Teggs is no ordinary dinosaur. 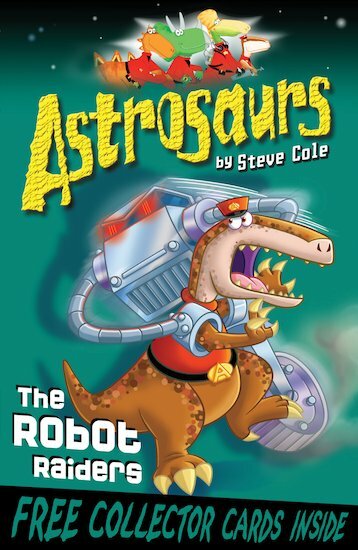 He’s an ASTROSAUR! 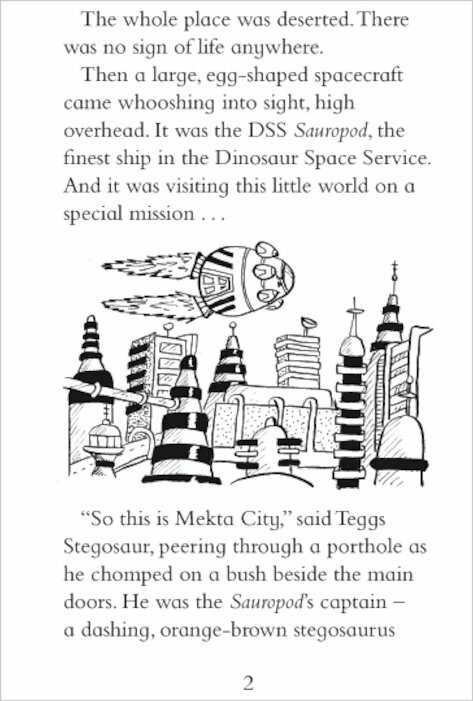 Zooming through space in his faithful starship DSS Sauropod, he rights wrongs, fights evil – and eats a lot of grass! 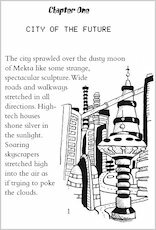 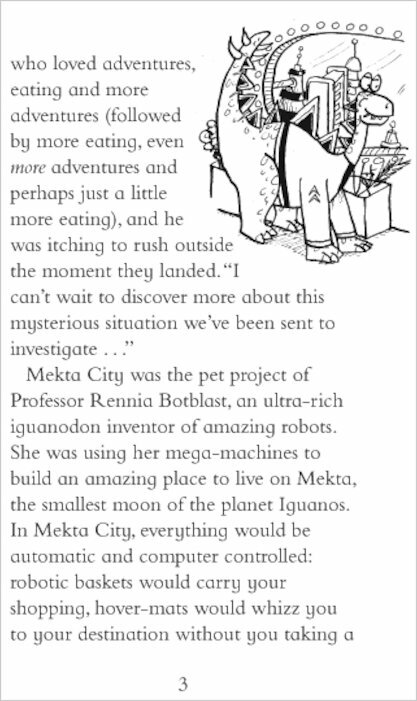 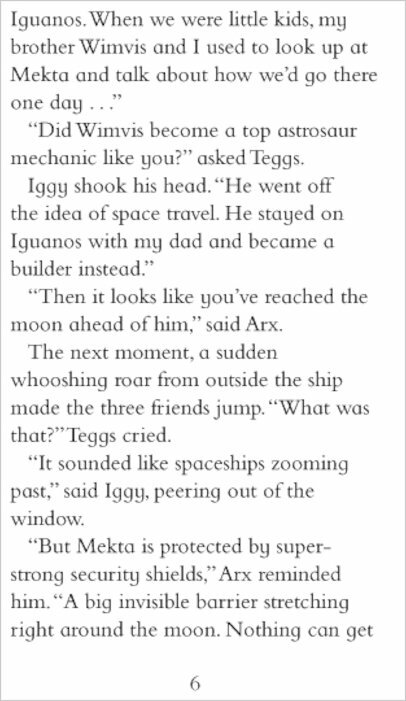 But when Teggs and our other space-hopping heroes touch-land on Mekta, an amazing new computer-controlled supercity populated by robots, the city robots mysteriously start to disappear. 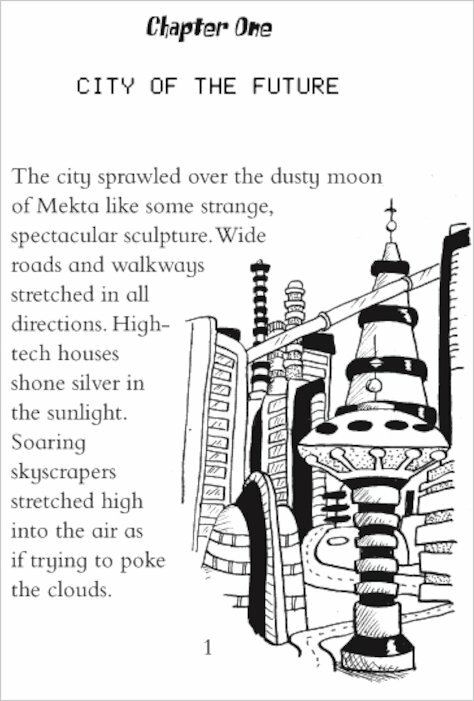 Is someone stealing the city’s secrets? 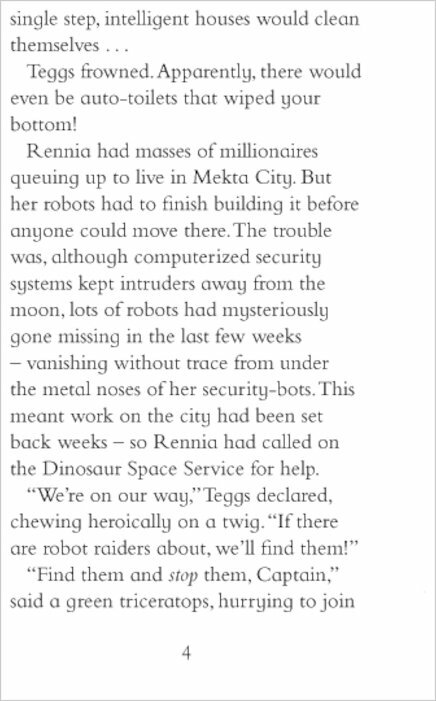 And are the dinosaur builders to blame? 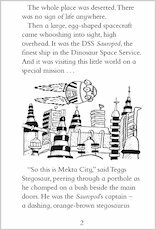 Dino-tastic derring-do from a hit comic series! This book is very good, I don’t think it is as good as The Mind-Swap Menace though. 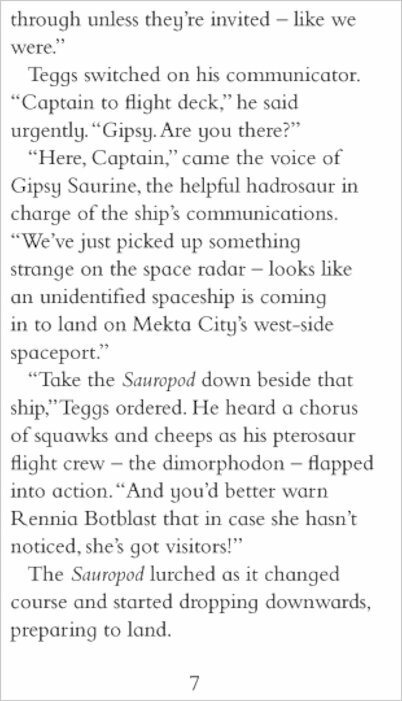 And the new design isn’t that good iether. 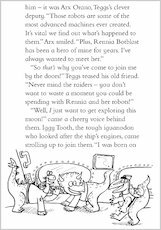 It says that next there will be a book called ‘The Twist Of Time’.